Is your boat ready? Schedule your Spring Service today! Glastron GT Series Boats: Click here to view the showcase! 2019 Marks Our 61st Year Serving Central Maine. The original concept the company was founded on in 1958, to serve the Central Maine freshwater boater with vigor, still exists today as strong as it did a generation ago. We have survived the test of time and we will be here when you want us most. Fun on the water starts here at Clark Marine. If you are purchasing a new boat, Clark Marine represents top line manufacturers who are building today’s latest and greatest models. Our nationally recognized On the Water Orientation Process will enhance the value of your buy. You will have more confidence on the water. We Welcome All Freshwater Boaters. We provide services and make repairs based on education and not on guesswork. With the largest service capacity in the area this means more time on the water for you. Oh, and just by chance you didn’t buy here; our service department is still open to you. Offering Parts, Accessories, Service, Storage, Local Transportation, We are your go to people when it comes to boating in Central Maine. 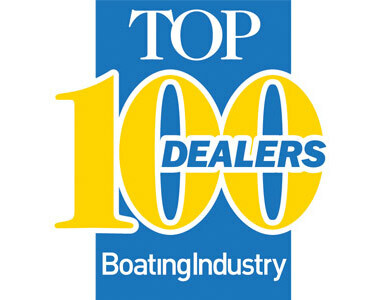 10 Year Marine Industry 5 Star Certified Dealer - 12 Time Boating Industry Top 100 Dealer. 2018 Kennebec Valley Chamber of Commerce Small Business of the Year. Thank you for visiting our website, we look forward to meeting with you in person very soon.